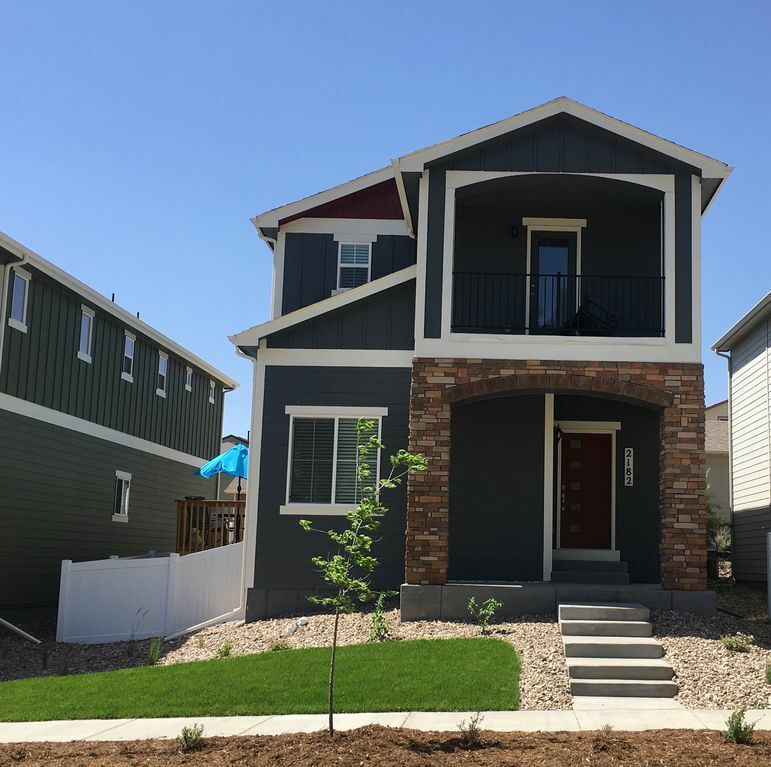 Clean Brand New 4 bedroom 3 1/2 baths. It gets professionally cleaned before and after every stay. All bedding washed... King size bed, garden tub balcony with an electric fireplace in the master. The upstairs has 2 bedrooms both with queen beds, the master bedroom, and laundry facilities. Middle floor consists of a beautiful kitchen, living room with 70 inch smart TV, gas fireplace, dinning area, deck and smaller fenced in yard. Basement has a bedroom with queen size bed, full bathroom, living room with 65 inch TV, gas fireplace and another laundry facility. Large attached two car garage with long drive way. Locally owned restaurant general manager in Colorado Springs, i have a small Bichon frise that doesn't shed and is hypoallergenic. I bought this house for an investment to live in and rent out as a VRBO to help get it paid off faster. I only use my master room and change out everything when people stay. It's easy for me to stay with a friend when it gets rented out. Win Win situation. This is a great house and centrally located in Colorado Springs. Close to everything. You could fit a regular size one through the front door. However it's three floors so you need to use the stairs up and down to get to the bedrooms. Due to a scheduling snafu, we were unable to stay at Ronni's house, which we we're certainly looking forward to. Regardless, she was awesome to work with - and we were grateful she returned all of our money. When we return to Colorado Springs, we will definitely book with Ronni! We had a wonderful stay at this beautiful home. Great host. It is in a great location. Super clean. Has all the comforts of home. The layout of this property was perfect for our family (Grandparents, parents & 2 kids who each had their own rooms). It’s newer construction, very clean and well maintained. We were able to enjoy Labor Day Liftoff by walking to the nearby park and had hot air balloons landing all around us! Such a cool experience! We were also close to Garden of the Gods. Would definitely recommend this property. The owner was very friendly & accommodating! Great home, host provided some very nice hospitality items. Great house! Host provided some wonderful hospitality items. Everything in the house was new or very well maintained.